Follow the inspirational story of a desert wanderer who has been handed a death sentence in the brand new excellent album by the trailblazers of Progressive and Sludge Metal. Anything I say about the music by American Progressive/Sludge Metal trailblazers Mastodon won’t be enough to describe the amount of madness, intricacy and feeling flowing from the instruments from this unique Atlanta-based quartet. Now with the fantastic Emperor of Sand, the seventh studio album in their remarkable career, Troy Sanders (bass), Brent Hinds (guitar), Bill Kelliher (guitar) and Brann Dailor (drums) add an extra layer of complexity to their music by revolving the entire album around the concepts of death and survival, inspired by experiences they had when members of their families and friends were recently diagnosed with cancer. Percussion sounds ignite pure heaviness in the form of music, titled Sultan’s Curse, where it’s impressive to see how those four guys can sound so polished and raw at the same time in a perfect fusion of Progressive and Sludge Metal. Furthermore, not only Brann has a superb performance on drums, but their already famous rotation of vocals only makes things even more entertaining. Despite sounding a bit too commercial at first, Show Yourself is a damn good song, being electrified and upbeat with the awesome vocals by Brann leading the musicality, while Brent and Bill deliver classic, sharp riffs and solos. In addition, if you want to see how awesome this tune sounds live, simply watch this excellent video of the band performing it at Jimmy Kimmel Live. Precious Stones is the type of song fans will love to see them playing live, offering another high-speed metallic voyage and showcasing more of their beautiful guitar lines and a rumbling performance by the unstoppable Troy on bass; whereas Steambreather starts with a dark, low-tuned sonority thanks to the guitars and bass sounds, keeping a blackened aura throughout the whole song but with faster passages to maintain the overall result very interesting (not to mention the once again excellent vocals from start to finish). The next track, named Roots Remain, sounds heavier than all previous songs, with Brann smashing his drums while Troy fires his more aggressive vocals, also providing tons of progressiveness flowing from all instruments in a display of classy and modern Sludge Metal with hints of Groove Metal. In my humble opinion, Word to the Wise is the best of all songs in Emperor of Sand, with the poetic lyrics emanating from the harsh vocals by Troy matching the music flawlessly (“Diamond in the wishing well / Fallen underneath its spell / Save me from the wicked ways / Pulling me with all its weight”). Moreover, I love when they speed up their music without losing their progressive touch, maintaining a beautiful pace while at the same time firing some flammable guitar solos. Ancient Kingdom is another composition with a solid and intricate instrumental supporting the amazing vocal work done by all band members, and what Brann does with his beats is like a lecture in drum playing; followed by Clandestiny, which to my ears sounds like a less commercial and consequently heavier version of “Show Yourself”. It’s one of the songs with the strongest Progressive Metal base of all, and it’s impossible not to feel its energy flowing inside your mind. 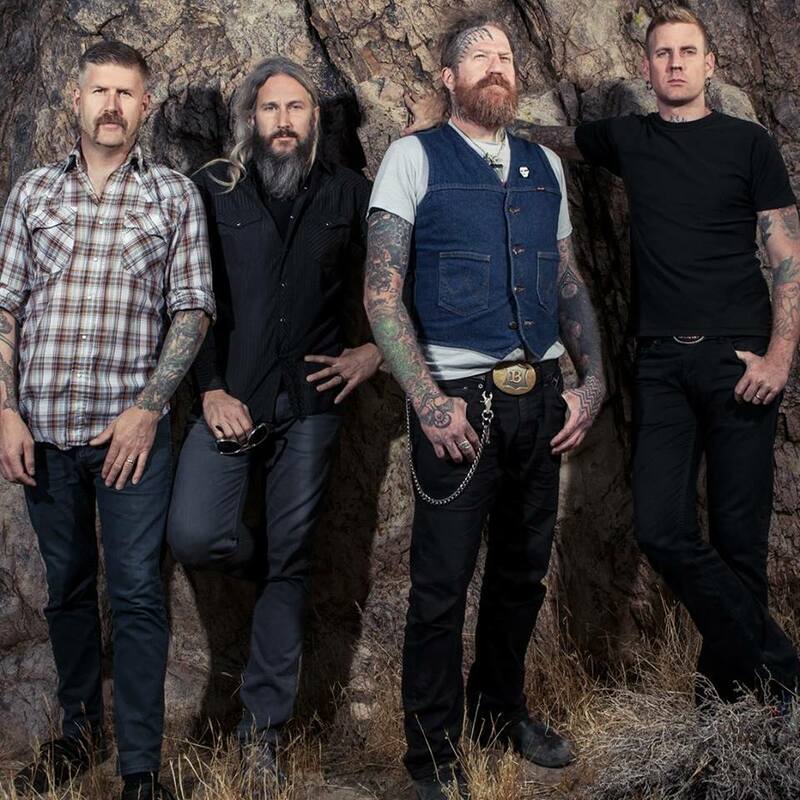 With guest musician Kevin Sharp of Brutal Truth on vocals, Andromeda, a great tune to break your neck headbanging, also presents a darker side of Mastodon. Brann is absolutely on fire throughout the whole album and it couldn’t be different in this amazing chant, which makes me wonder how powerful it should sound during their live concerts. And featuring another guest vocalist, this time Scott Kelly of Neurosis, we have Scorpion Breath, the second to last track of the album, being very rhythmic with the bass lines by Troy bringing thunder to the musicality, while the guitars by Brent and Bill will cut your skin like a razor-edged blade. Last but not least, if someone asked me to summarize the music by Mastodon in two words, those would definitely be Jaguar God. This is a complex, detailed and very creative creation by the band, presenting amazing guitar riffs and solos, an intricate and groovy drumming, smoother passages, and beyond whimsical lyrics (“Terrestial fire, ascending from underground / Godspeed divine, so we control our mound / Shape shifter, spirits whisper / Guide me through this black sorcery”), not to mention that when the music gets really heavy, it becomes the best Progressive Metal you can think of. I personally recommend that before (or maybe after) listening to the album in its entirety you go check the band’s outstanding series of videos on YouTube titled The Making of Emperor of Sand, as those will make a lot of difference to your own view of the music found in Emperor of Sand, giving additional details and even new meanings to what you think you know about Mastodon. You can also check what the band is up to at their official Facebook page, and get ready for their always fun visit to your city in a not-so-distant future. Some will say Emperor of Sand is their strongest work to date, and some that the band lost their touch, just like what happens with every renowned band nowadays. 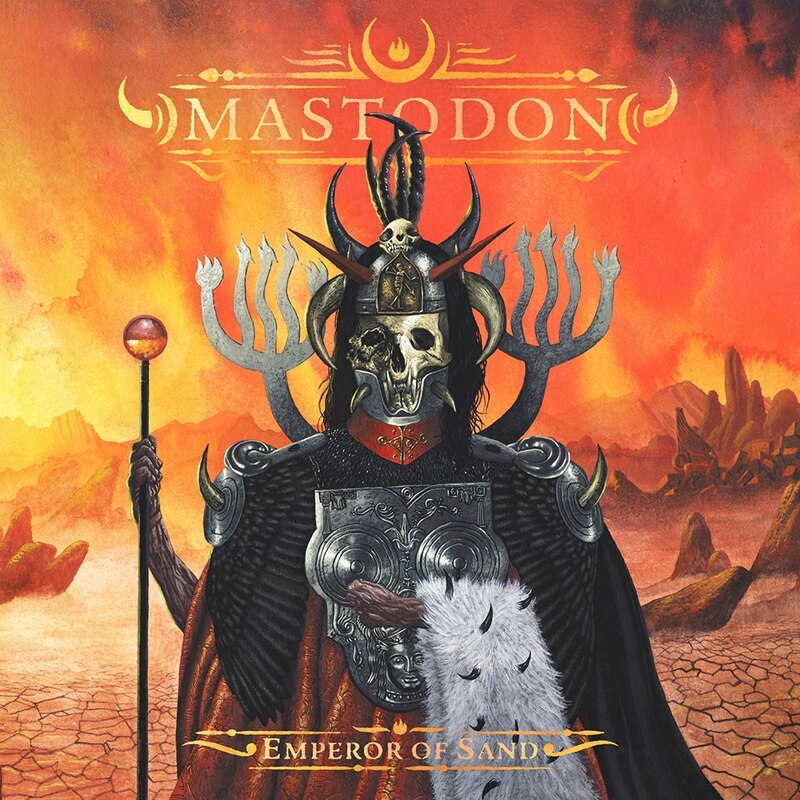 All I know is that Emperor of Sand is a bold, cohesive and inspirational metal album, and that it will hit you hard no matter what, proving Mastodon are not among the biggest and most influential names in contemporary heavy music in vain. Best moments of the album: Sultan’s Curse, Precious Stones, Word to the Wise and Jaguar God. This entry was posted in 2017 New Releases and tagged alan brown, andromeda, atlanta, bill kelliher, brann dailor, brent hinds, emperor of sand, georgia, groove metal, jimmy kimmel live, kevin sharp, mastodon, medusawolf, mike keneally, progressive metal, reprise records, scott kelly, show yourself, sludge metal, sultan's curse, the making of emperor of sand, troy sanders, united states by Gustavo Scuderi. Bookmark the permalink.